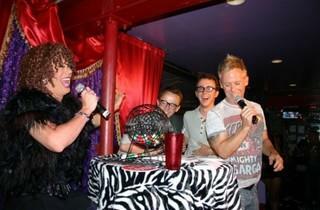 There's a reason Legendary Bingo has been a hit in Los Angeles for nearly 15 years: It's a helluva good time. Bingo Boy's weekly gamefest, with sessions at 7pm and 9pm Wednesdays and 6pm and 8pm on Sundays, attracts an eclectic crowd from the campiest drag queens to hipsters and average Joes. Burgers, beer, the occasional celebrity caller and proceeds going to local charities makes Legendary Bingo a no-brainer any Wednesday night.